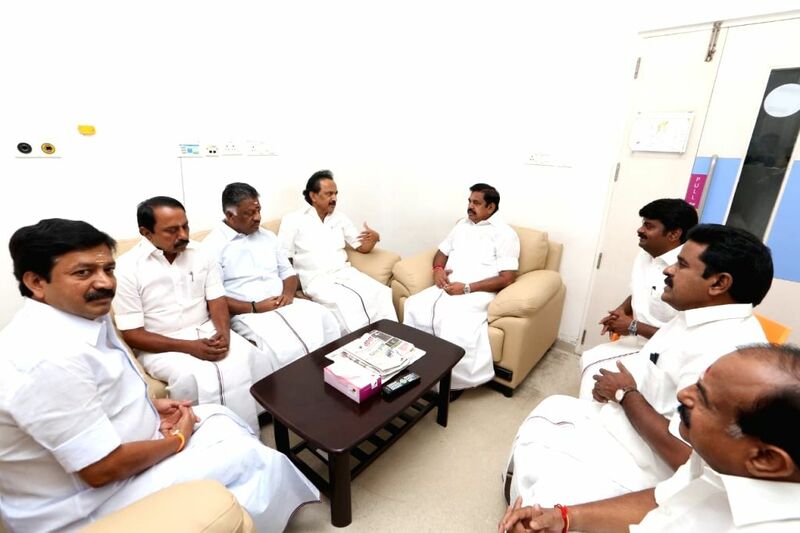 Chennai: Spiritual guru Jaggi Vasudev with DMK leaders M.K. Stalin, Kanimozhi and Durai Murugan at Kauvery Hospital where DMK President M. Karunanidhi is admitted, in Chennai on July 30, 2018. According to a party spokesperson, DMK President M. Karunanidhi's health condition is stable and his vital signs are normal.